Gold has been my favourite since teenage. I have always admired golden color. And now, it is in so vogue, be it clothing, accessories, footwear or anything. 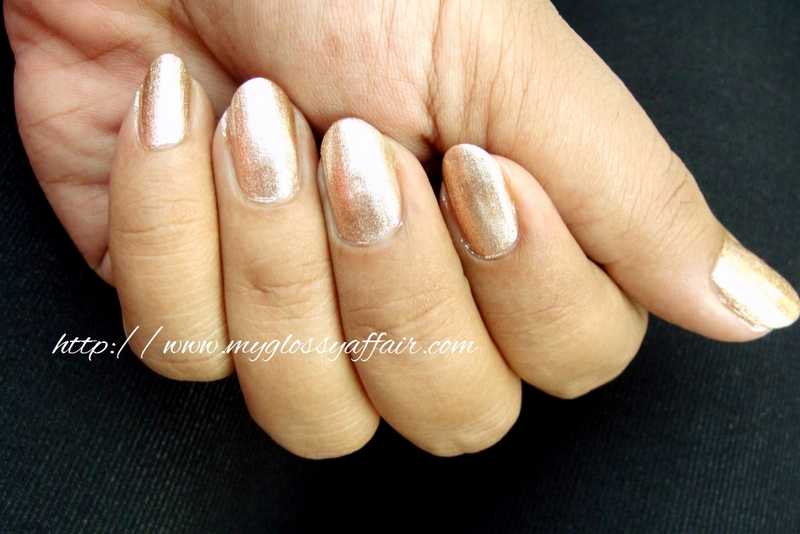 then why not golden nails!! 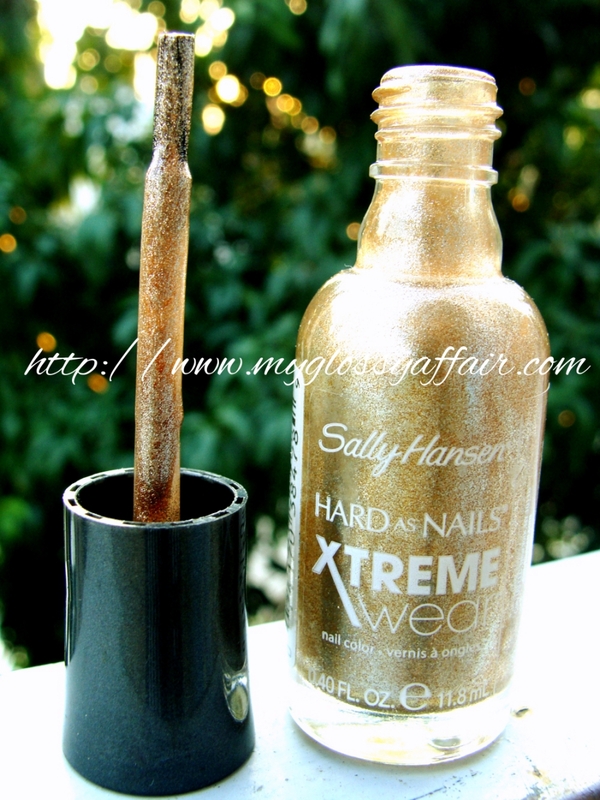 So, today, I will share with you all my experience about a beautiful golden nail paint from Sally Hansen, Hard as Nails Xtreme Wear Nail Color in shade 485 – Golden I.
I love Sally Hansen as a brand for its amazing nail paint colors and the quality. Means I get maximum life out of these. Only Sally Hansen nail paints survive for 10 days at a stretch with all the working and washing. Amazing life and no yellowing of nails. 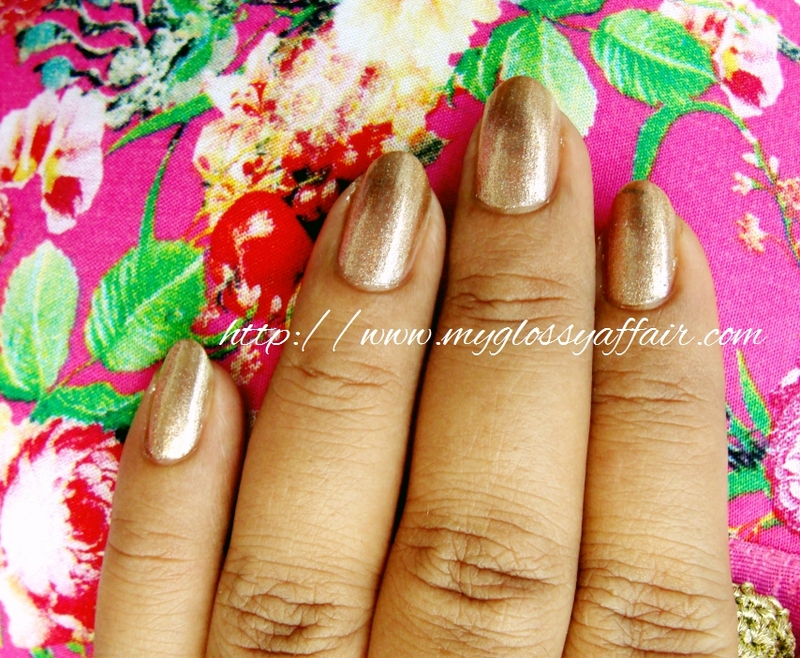 the color starts fading only after 7-8 days, but only fades and goes a bit dull, no chipping. 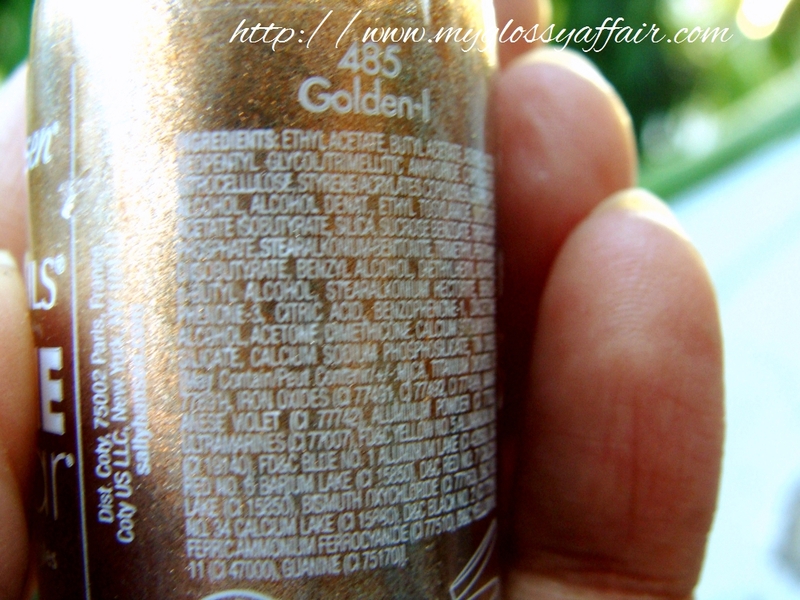 This color Golden – I is a pretty sparkly golden color and will be loved by all those who love golden nails. The brush is perfect, the finish is so smooth and non patchy that it becomes a favourite after a single application. You need to apply only a single coat of the color and its fully opaque and perfect finish but since, I like moreeeee, I apply 2 coats and voila, what a finish I get. Awesome!! When all this comes at a price tag of $2.52 then what better can you ask for. 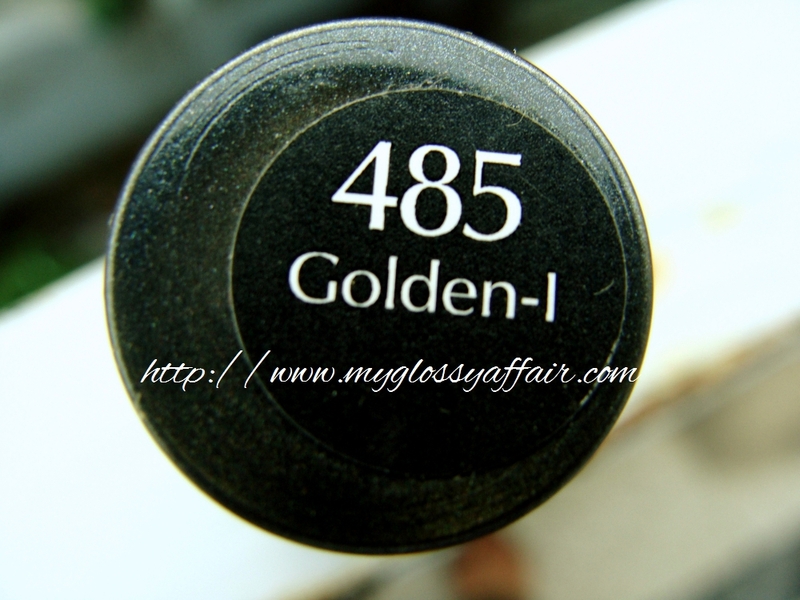 All pros it has – lovely golden color, fast drying, no chipping, lasts long, no streaks, nice brush, full opaque coverage, smooth texture, no bubbles, good quantity, great quality, inexpensive etc. etc. P.S. – Please avoid those swollen fingers. This was clicked in my 9th month of pregnancy. I put on this color to perk up my mood at that time :P.
In India I am finding it hard get my hands upon Sally hansen's this range. These actually make nails harder. I like shiny nail paints too. Great product! I've tried a few Sally hansen polishes) This one looks awesome! That is a lovely shade. So pretty! Somehow reminds me of Christmas in a good way. Such a gorgeous gold shade. Looks very pretty.